I got a new deck the other day called Morgan’s Tarot. It’s not really a Tarot deck. There are 88 cards (not 78), no majors, no minors, no numbers at all. So I guess it’s an Oracle Deck that calls itself Tarot, but I don’t mind. And normally I would. Typically I’m not drawn to Oracle decks. And certainly they shouldn’t be running around calling themselves Tarot if they’re not, but I’m crazy about this one and will let all such details slide. It was created by Morgan Robbins and illustrated by Darshan Chorpash in the ‘60s and first published in 1970. The images are simple sketches in black and white, clearly inspired by the counterculture new age of its time. I came across it quite accidentally while looking at decks on sale at a website I soon discovered did not deliver to Canada. But Amazon does and they had a few copies so I got one. I was drawn to the sketches and lack of colour. Don’t get me wrong – colour is great, but I was really attracted to the simplicity in these drawings. Anyway …. the deck arrived and I love it. The first few readings I did with it where not only dead on, but very funny. It’s a deck with a serious sense of humour (or at least one that shares my humour). I’ll give you an example here …. Having had the deck for only a few hours, I hadn’t really looked through all the images. I decided it would be more fun to get to know it slowly through reading with it rather than by studying it card by card. So I asked it about my ‘psychic’ work, and whether or not I was on the right track (nothing like checking in now and again to make sure). I pulled three cards …. The first one I drew showed a picture of a theatre with a full audience watching some performers on stage. Under the image it said, “Who is watching The Cosmic Drama”. My first thought of course was ‘Me!”. Then I turned over the next card. There was a picture of a sun low on the horizon and a person standing on a beach watching it rise (or go down) while holding something in front of them (I thought it was a guitar for some reason). But it was what the words underneath said that floored me …. “Let George Do It”. I’m George!!!! This deck has a card with my name on it! Really. I can still hardly believe it. And yes, I’m always busy watching the Cosmic Drama. That’s exactly how psychic work feels to me. The final card I drew had a heart on it, one that seemed to be resting a little, comfortable and just there. Underneath the image it said “You Are Our God’. I don’t know who’s God I am, but if they’re connected with this deck, I like it. I’m guessing though it really meant that I’m my own God, or that God is within. In fact it said as much in the randomly unorganized Little White Book that accompanied the cards. Quite a message, quite a deck. 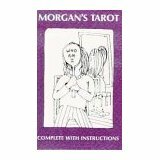 All in all, I have to say that Morgan’s Tarot is a joy to read. It’s crazy it’s taken me so long to find it, but now that I have I believe we’re going to be good friends. I recommend it to all lovers of divination and good solid advice be they Tarot readers or not. This deck likes to talk with everyone. And it’s well worth taking a listen. 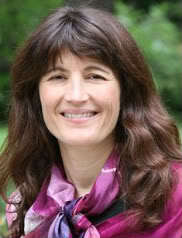 We’re very excited to welcome Dr. Diane Hennacy Powell MD to tonight’s special Tuesday episode of Beyond Worlds. Dr. Powell is the author of the exciting book, The ESP Enigma: The Scientific Case for Psychic Phenomena. It’s an exceptional book that takes a careful, rational approach to the ‘irrational’ experience of telepathy, clairvoyance, remote viewing and consciousness in general. Join us live or listen to the show in archive. It’s sure to be brilliant. You are currently viewing the archives for July, 2010 at The Tarot Room.